With cold weather out of the way for most of the nation, it’s time to start thinking about warmer seasons and more time to spend outdoors. Picnics, car and bike cruises and boating on open waters are all favorite pastimes for many during the spring and summer. While most days are mild and great, these seasons also come with their own issues as far as weather that could damage your valuables. Heavy rain showers, intense sunlight and other factors could cause fling debris, rot, rust and other issues so storage is still important. Carports and portable shelters are a terrific way to protect your motorcycle, car, boat, RV and other valuables from these possible issues. They are affordable, durable and easy to install. Here are some more reasons to consider getting a carport this spring. Many people opt for carports and portable shelters to allow them to garden for longer periods of the year and enjoy the relaxation it can bring in a more controlled and comfortable environment. Greenhouses are also great in the spring to get plants started in advance from seeds, until they are ready to be planted in the ground outdoors or as a way to permanently set-up your garden. Carports aren’t just great for storing vehicles. They also make a terrific place to host outdoor events. With the spring and summer seasons increasing the occurrence of outdoor parties and picnics, you will have a location to host those events without needing to worry about rain and other weather throwing a wrench in your plans. If you live in an area with extreme winter weather conditions, you may be concerned about damage to your portable shelter. Metal carports are a terrific option to remove the need to replace covers due to tears and can even add value to your property if done right. Shelters of America has everything you need. From truck covers, instant shelters, boat covers, car garages, garage kits, portable shelters, portable garages, carports, car covers, portable buildings, motorcycle covers, metal carports and metal buildings. Our instant storage buildings have galvanized steel frames to ensure true All-Weather protection from sun, wind, rain, and more. Shop today! As the internet becomes an everyday necessity for everyone, the amount of jobs that are internet based increase. Most people who work on the computer all day also sit in a cubicle. Andrew Fischer decided he wanted to do something a little different to make his cubicle his own. 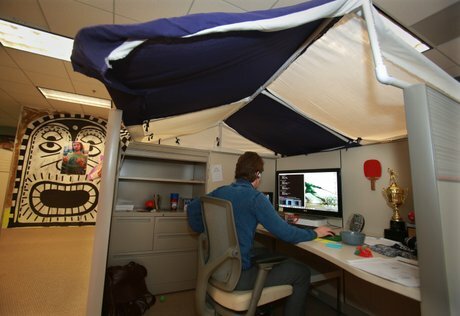 Andrew created a tent out of PVC pipe and canvas that covers the top of his cubicle. He did not build it because it rains a lot in his office or because the sun was bothering him while he worked in his cubicle. Andrew works for Underground Elephant, an internet marketing company that is known for its “weird” office customs. The tent idea won an office contest for Andrew and he brings the tent with him every time his desk moves to a new part of the office. Oh yeah, I forgot to tell you that at Underground Elephant, you move to a new area of the office every quarter, so you never get too cozy. Think that’s weird? That may be the most normal thing that happens in this office. Underground Elephant is a fast growing company in San Diego that does internet marketing. In five short years the company has become one of the fasting growing and best place to work in San Diego. CEO Jason Kulpa believes in organized chaos and deliberate disruption to keep his staff creative. Besides moving desks every quarter, Kulpa does a lot of weird things that may be the reason his company is so successful. Many offices where people work mainly on the computer can be mundane and not invite creativity. White walls and cubicles with short breaks and 30 minute lunches are like something out of Office Space. However, Underground Elephant is nothing like the depiction of the American office in the popular ’90s movie. 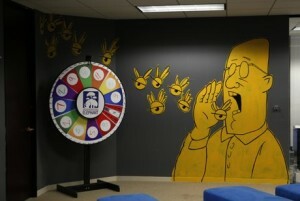 While there are still cubicles, the office is covered in provocative paintings on the walls, doors, windows, and ceilings. With distractions everywhere in today’s world, the attention span people have is extremely low. So Kulpa tries to play off that by creating an environment of distraction and relaxation to promote creativity. While it is not required, you can take a ten minute break to get a massage in the office. This helps his busy staff of over 50 to just relax and think for ten minutes, with no distractions. You do not have to multi-task, answer the phone, or stare at four computer screens, you can just relax with your thoughts. Tired of sitting in your chair all day? Well at Underground Elephant you can work up a mental and physical sweat at their ping pong table. Get distracted from your daily tasks with a quick game of ping pong, ride a bicycle around the office, or go on a scavenger hunt. Underground Elephant keeps the office lively with such activities. If it is your birthday, you get a spin on the reward wheel to win prizes! The element of randomness and weird being the new normal has made Underground Elephant the successful company it is today. While I would not suggest you ride your bike inside your office, I would suspect Underground Elephant to be receiving a lot of job applications soon. Adding an outdoor canopy is a great way to take full advantage of a patio or deck area. Installing an outdoor canopy provides a nice shaded area so you and summertime guests will feel welcome and comfortable. The shade is also beneficial to keep food and beverages cool and out of direct sunlight to prevent spoilage. Everyone will be thankful for the opportunity to chat and relax in the shade instead of constantly squinting in direct sun. A shade canopy is a great addition to outdoor gathering places for many reasons. For example, barbecues and cookouts are popular outdoor activities to gather friends and family to enjoy some good food and great company. Backyards, decks, and patios are obvious locations for these occasions. 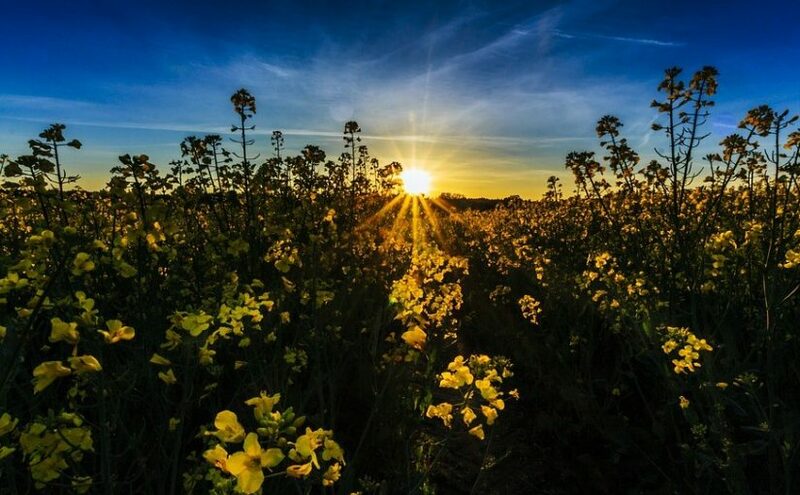 However, some people are extremely sensitive to the sun and can burn in short minutes of exposure, and many people simply don’t enjoy direct sunlight for extended time periods. 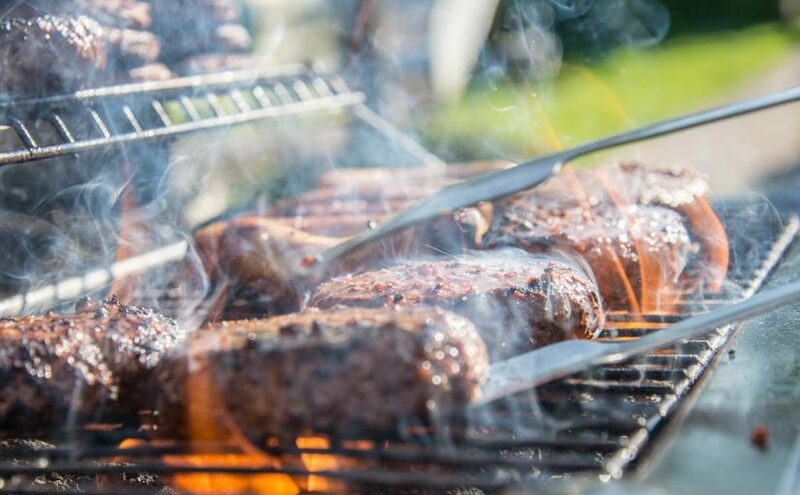 Additionally, families often enjoy dinnertime outside at a picnic or patio table in warm weather, but a light evening shower could put a damper on these meals. Outdoor canopies not only shelter your family and food from too much sunlight, they also keep you cozy and dry in the event of passing rain storms. Relaxing outdoors with a book to read is far easier in a bit of shade than with sunlight glaring off of the page. Furthermore, after a nice swim in the sunshine, a shady spot may be the perfect place for a summertime nap snuggled up in a warm towel. For special occasions or daily enjoyment, adding a little shade poolside or to decks and patios is easily accomplished with outdoor canopies. Seasonal warm weather gives everyone a great opportunity to get outside and enjoy the sunlight and fresh air. Families and friends enjoy time outdoors relaxing on decks and patios, and many hours of fun are spent swimming or poolside. 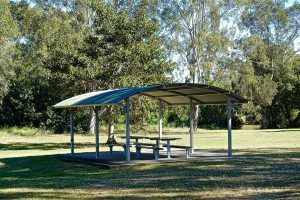 Outdoor canopies are a great addition to these leisurely times to provide a little shade and prevent overexposure to the sun. They also come in handy when rain showers make unexpected appearances. The springtime brings warming temperatures and the chance for friends and families to put on backyard parties and other outdoor events. 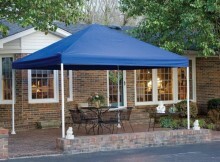 Party tents provide shade from the sun and shelter from bad weather. Ideally, a Mother’s Day picnic or outdoor wedding would be held on a clear day, but in the case of rain showers, party tents offer guests a way to stay safe and dry out of the weather. Outdoor parties provide a great way to interact with friends and family in a natural setting. Party tents are flexible for use with various outdoor occasions. A black tie wedding under a white canopy brings to mind class and elegance, while a picnic under a shade canopy evokes a playful atmosphere. Party tents and canopies provide shade for buffet tables to protect food from the harsh heat of the sun and keep beverages cool. Setting up more than one canopy can be a useful way to stage an event. One tent can be used for food and another for seating. Guests will find a shaded area very welcoming and be happy for the chance to relax and catch up with friends and loved ones. Party tents are a great way to add space to an indoor-outdoor party for children and grownups alike to enjoy each other’s company and get some fresh air. Depending on the location, canopies and party tents can be positioned to take advantage of views and beautiful natural settings. Many people don’t have enough space in their home to host large gatherings, but adding a party tent gives them flexibility and added space to accommodate guests. Canopies and party tents can be decorated to suit the style and theme of an occasion, just as you would set up a banquet hall or other party venue. Birthday parties, baby showers, and graduations are great opportunities to host an outdoor event. Adding a party tent or outdoor canopy to any of these events will add to guest comfort and delight. From Occupy Wall Street protests to makeshift shelters following natural disasters, you never know when news about portable buildings will pop up. Recently, the 54th Annual Grammy Awards achieved ratings success with the assistance of portable buildings. The awards show added extra space by constructing tent canopies at the Nokia Plaza across from the Staples Center in Los Angeles, California. Both a performance venue and a showcase giveaway for featured products found shelter under the portable canopies. According to the Grammy Awards website, a performance venue was staged beneath a canopy tent constructed across from the Staples Center. The audience in this temporary building was treated to performances by artists such as the Foo Fighters, Chris Brown, Deadmau5, David Guetta, and Lil Wayne. Television viewers watched the coverage transition smoothly from the main awards stage in the Staples Center to the supplemental performance space under the canopy. A more behind-the-scenes use of a canopy tent gave Grammy performers and presenters a space to enjoy the backstage Grammy Gift Lounge, an article from MSN said. Inside this white canopy, celebrities were greeted by a host and given a large duffel to collect items ranging from video games, beauty items, and chocolate to fine jewelry, apparel, and automotive products. Portable canopies are not only useful for enormous television productions. A tent canopy is a welcome addition to most outdoor events and locations. The canopy supplies shade in the sunshine and a dry place to congregate in the case of showers. If you are planning a family picnic, an outdoor wedding or other occasion, a canopy tent is also a great place to locate a band or DJ. Outdoor events such as car shows and flea markets can also be susceptible to the elements. In all reality, too much sun, wind or rain can hamper any outdoor event. Provide guests with shelter from the elements with a canopy tent, and your special event – like the 54th Annual Grammy Awards – will be a more functional and comfortable occasion. If you have read this blog before, you are fully aware of the types of portable buildings available for numerous uses. From using a carport to harbor an old clunker you just can’t throw out to setting up a canopy for an awesome party, portable structures are an absolutely essential product for many people. There is another use for portable buildings that isn’t as discussed as the others, but may be more important, at least from a sociological standpoint: emergency shelters. These shelters are used in case of natural disasters and are also used more commonly for homeless citizens in some bigger cities. However, one county is now looking at the shelter areas under a microscope. “Under the new rules, host churches will not be subject to discretionary land-use review by the county. With the Zoning Ordinance changes, church-based emergency shelters that provide humanitarian assistance are now a permitted accessory use not subject to discretionary review when operated on the church sites. Every year there is a fair in West Springfield, Massachusetts, representing Connecticut, Maine, Massachusetts, New Hampshire, Rhode Island and Vermont. Can you guess which fair it is? It’s the Eastern States Exposition, held every autumn to represent the culture and agriculture of the New England area. Also known as The Big E, this renowned agricultural fair with carnival flair and deep-fried food vendors opens its doors for two weeks and three weekends the second Friday after Labor Day for one of the biggest celebrations and exhibitions of what New England has to offer. Besides just simply New England, The Big E is known for its amazing selection of vendors and exhibitionists, showing off their various wares and goods ranging from state memorabilia to house wares and appliances. On any given year, The Big E could have Vermonters making apple pie with cheddar cheese to Mainers stuffing baked potatoes with anything you can find. Next to them will be booths selling RVs and portable furnaces for winter. 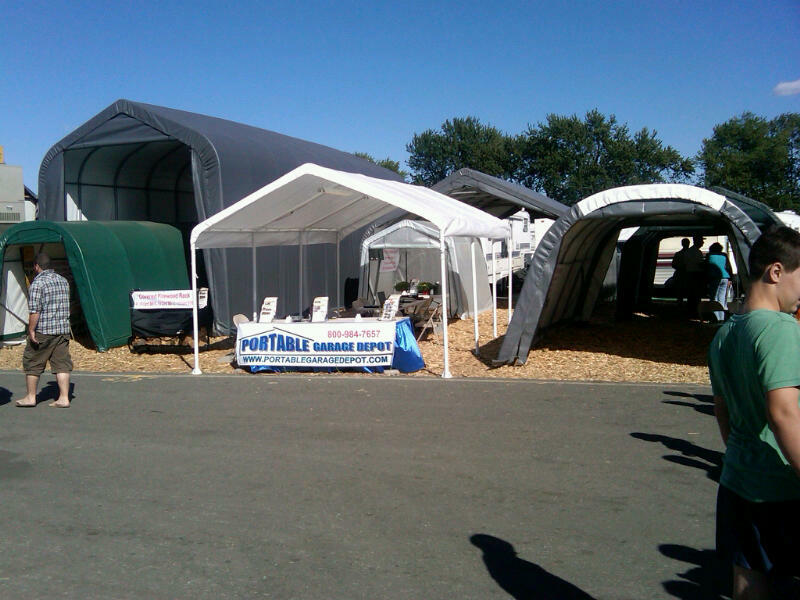 One such exhibitor is Portable Garage Depot, a leader in the portable shelters and carports industry. 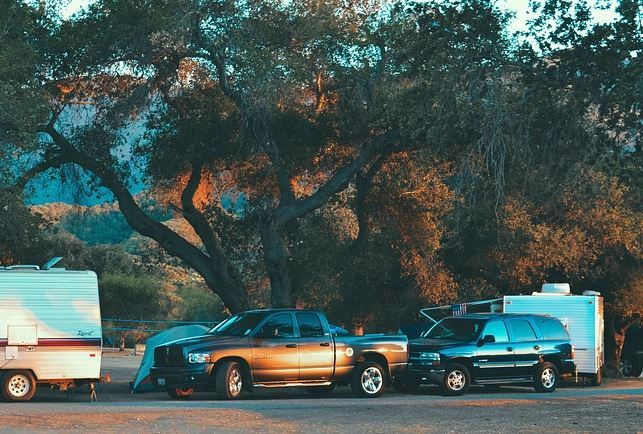 Featuring one of the most extensive selections of DIY portable garages for your RV, car, jetski, lawnmower, camper, boats and whatever other vehicles you can think of. These garages can also be used as self storage for any items you have lying around your home in the way of everything. 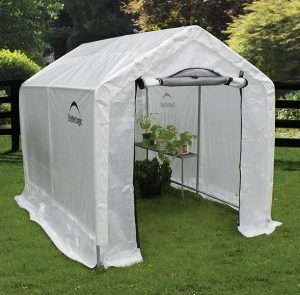 Portable Garage Depot is also a wonderful place to get outdoor canopies and tents for special occasions or just a leisurely backyard barbecue. Every day of the Big E, Portable Garage Depot is offering a different special deal, including free kitswith purchases and discounts based on your state of origin. Be sure to check the company’s Twitter page (@PGDEPOT) or its Facebook for more information. Better yet, just stop by the Portable Garage Depot booth at The Big E! The voice over in the video indicates that several tents of varying sizes are connected together. On the larger size, two wedding tents are provided for a dining area for 500 guests, with 250 people sheltered by one tent. Dining at the reception is important and connected to these tents are three narrow structures referred to as “buffet tents” that shelter a table of food each. Additionally, the bride and groom need shelter and a tent is also provided for them.